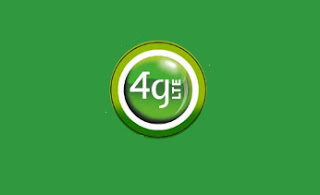 Just 1 week after Glo launched their http://aziin5teens.blogspot.com /2016/10/glo-launches-4g-lte-network-services.html" target="_blank">4G LTE network services in 9 major cities of the country; Glo has extended the 4G LTE network services to 8 additional cities bringing the total locations to 17. The 8 new locations where Glo 4G LTE network has also been activated are Abraka, Agbor, Bonny, Ekpoma, Escravos, Forcados, Okada and Sapele. This was done in fulfilment of Glo’s earlier promise during the launch of the 4G LTE network services to quickly make the services available in other locations in the coming weeks. And with this pace, we believe that more and more locations will continually be added to the existing ones in coming weeks until Glo 4G LTE network service gets to almost every nook and cranny of the country. Must Read: http://aziin5teens.blogspot.com /2016/10/airtel-where-are-thou-in-this-4g-lte.html" target="_blank">Airtel, where are thou in this 4G LTE network train? Also available are Glo 4G LTE network router and 4G LTE network MiFi, which will enable you to access high speed internet both at close range and from long distances. Finally, you should always have it at the back of your mind that Glo 4G LTE service runs on network frequency band 28 (700) and it is not enough for your device to be 4G LTE network enabled but also should be capable of running on that frequency band, otherwise you will still not be able to access Glo 4G LTE network service even if you stay in any of the current 17 locations that Glo 4G LTE network has been lighted.